Titus Welliver wears Randolph Engineering Aviator sunglasses in the first season of Amazon tv series Bosch. 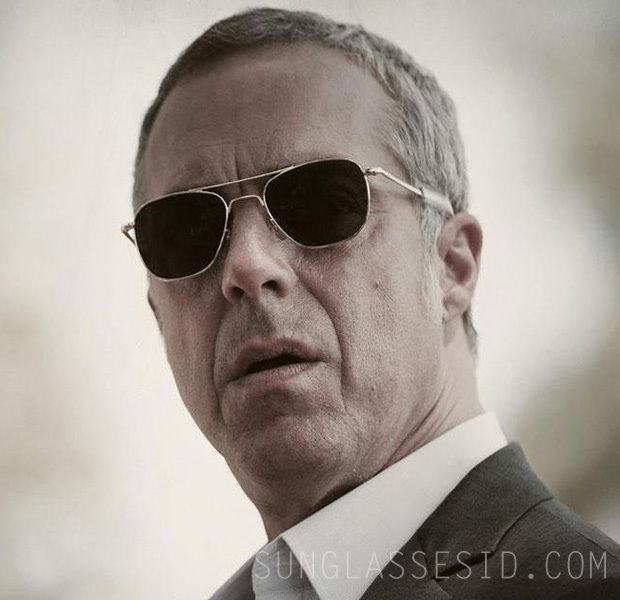 Titus Welliver wears Randolph Engineering Aviator sunglasses in Bosch. Titus Welliver wears Randolph Engineering Aviator sunglasses in the first season of Amazon tv series Bosch (2015). 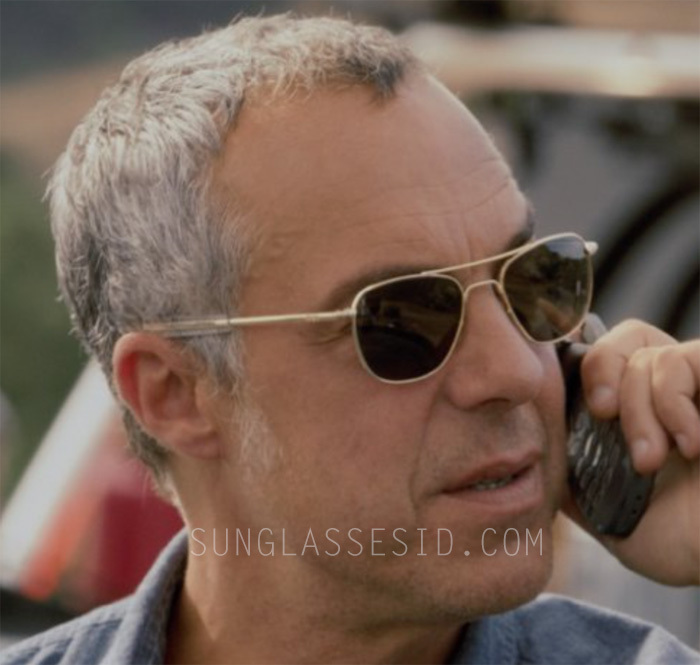 Welliver wears the Aviator model with gold frame. It's hard to see which color lenses are in the frame, it looks most like AGX lenses, but could be grey as well. This model sunglasses can be recognized by their bayonet temples, that are designed to fit comfortably under headgear.